The introduction of the Audi RS5 brought a new addition to the quattro all-wheel drive system. Employing a crown gear center differential, the RS5 has the ability to transfer up to 70% of power to either the front or rear wheels. 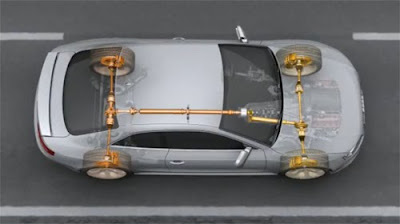 This video gives an in-depth explanation of how the RS5's crown gear center differential and torque vectoring system work in conjunction to provide unparalleled traction and handling.